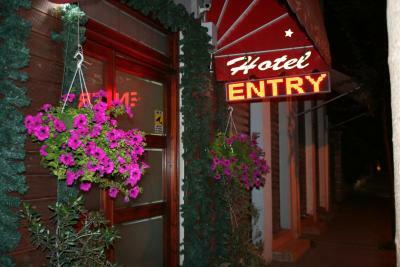 Lock in a great price for Jolly City Center Hotel – rated 8.5 by recent guests! Nice place, extremely friendly and helpful staff...Check-in was fast and easy. Breakfast was good. 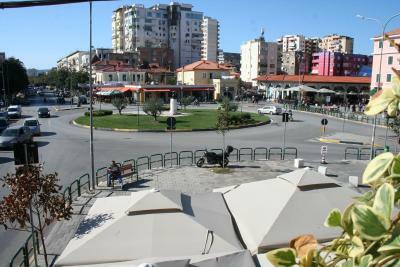 Very clean and close to the city center. Nice and friendly staff. 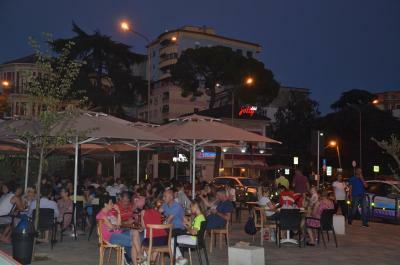 I definitely recommend this place 100% in Tirana. 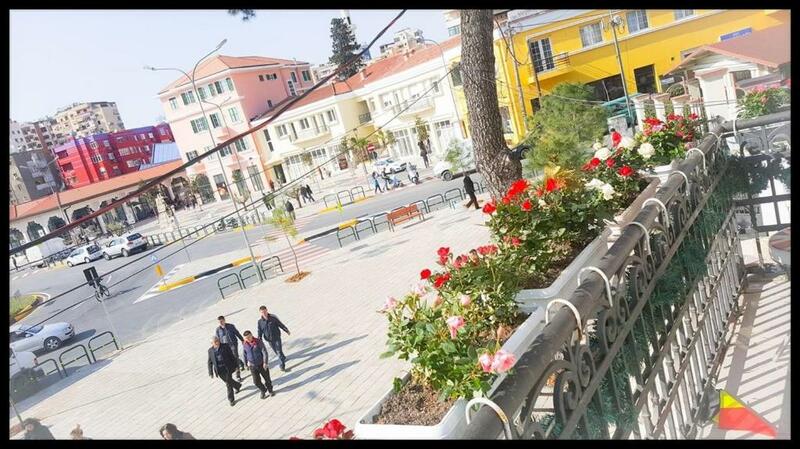 The location was very nice! 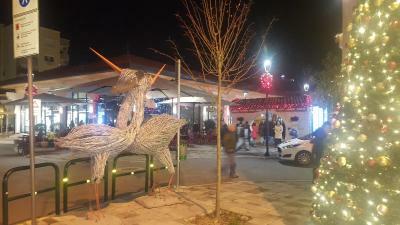 It is maybe not the first part you think about visiting when in Tirana, but the neighborhood is super nice, with a lot of terraces, bars, restaurants and the bazar around the corner. We had a room with perfecr view. 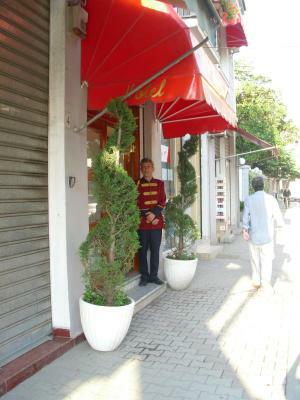 The staff was very friendly and helpful, they even recommended certain restaurants for us. Very clean, every day cleaning service in the room. 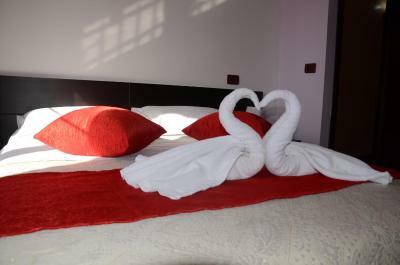 The room was so clean and the beds are comfortable. Breakfast was very good. the team was super friendly and helpful for whatever you ask for. I highly recommend. the location is perfect as well. The staff were super friendly and helpful. 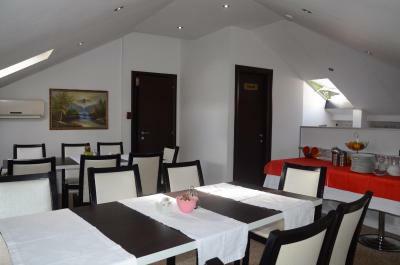 Fantastic location and good value if you're looking for a private room! 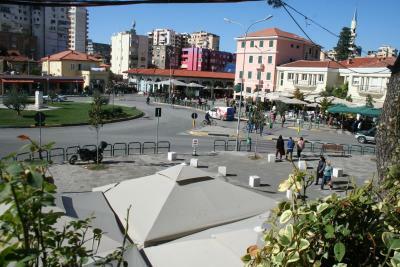 Location was great, 5-minute walk to the Skenderbeu square, nice restaurants around. Friendly staff. Clean room. 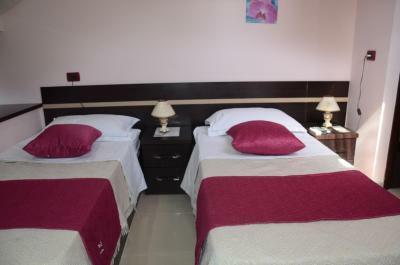 Jolly City Center Hotel This rating is a reflection of how the property compares to the industry standard when it comes to price, facilities and services available. It's based on a self-evaluation by the property. Use this rating to help choose your stay! 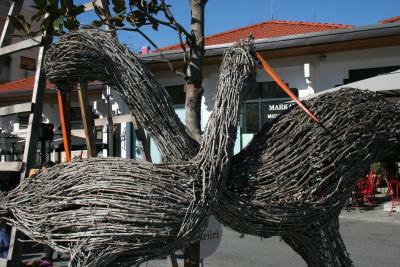 One of our best sellers in Tirana! 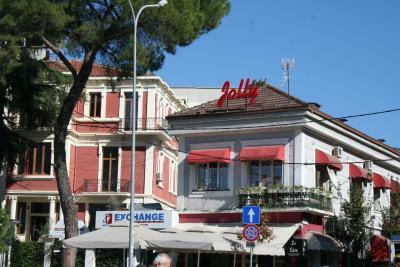 Only 1,800 feet from Tirana Castle, Jolly Hotel is set in the center of Tirana. 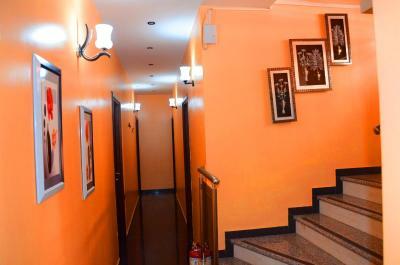 Featuring free Wi-Fi and free parking 350 feet away, it offers air-conditioned rooms. 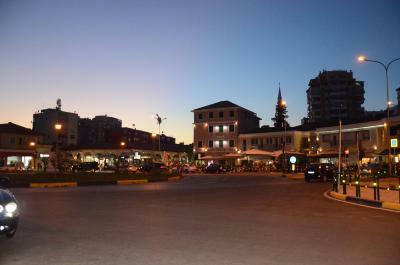 The Old Bazaar is just 50 feet from the hotel. 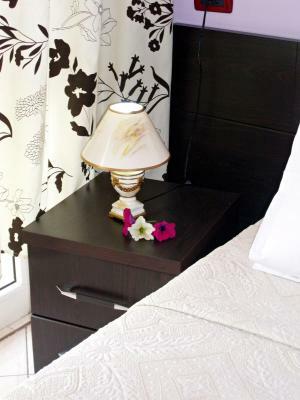 All rooms consist of a flat-screen TV with satellite channels, a mini-bar and a desk. 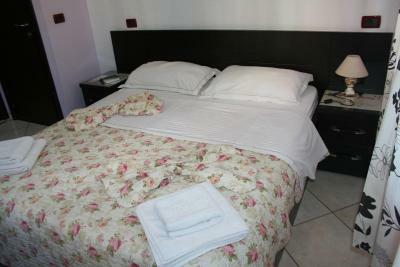 Each unit also provides a private bathroom with a shower and a hairdryer. 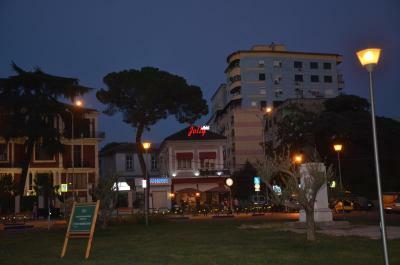 There is a restaurant serving traditional Albanian specialties and Italian dishes just a few steps away. 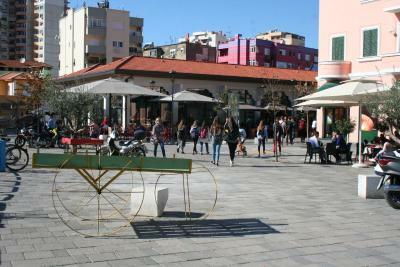 A grocery shop is 30 feet away while numerous bars with summer terraces can be found all around. Sightseeing trips can be organized upon request. Blloku, a nightlife area, is at a distance of 0.6 mi. 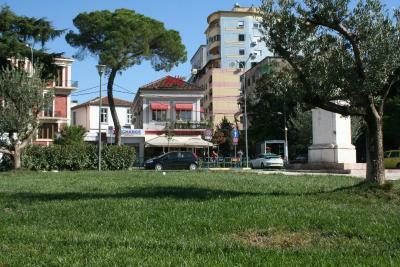 Tirana Park and Lake are 1.2 mi away. 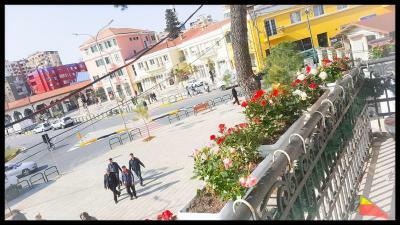 Mount Dajt National Park, accessible via cable car and overlooking the city, can be reached within 3.7 mi. A bus stop is 650 feet away, while a train station is at a distance of 0.7 mi. 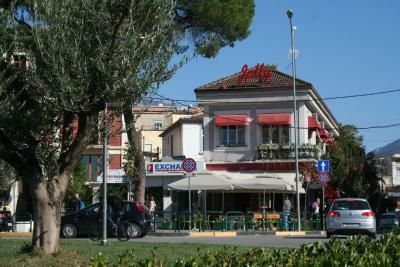 Tirana International Airport is 11 mi from the Hotel Jolly. Shuttle service can be organized upon request. 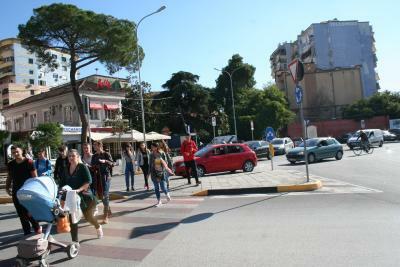 This is our guests' favorite part of Tirana, according to independent reviews. 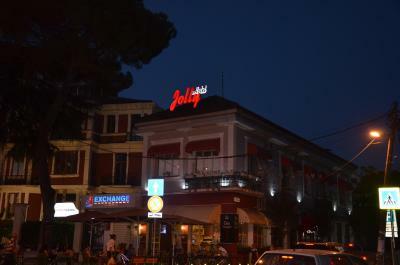 When would you like to stay at Jolly City Center Hotel? This air-conditioned room features a flat-screen satellite TV, a minibar and a desk. It has a private bathroom with a shower and a hairdryer. 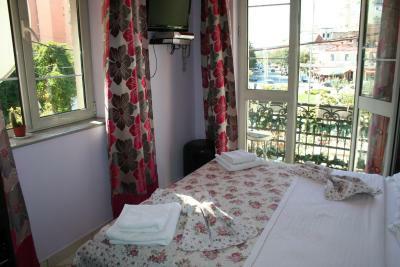 The rooms also includes a balcony. 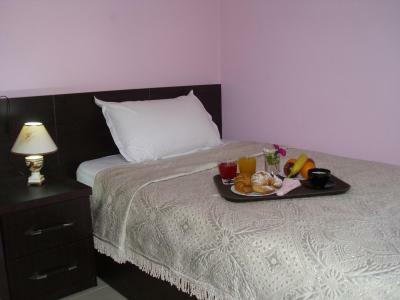 This air-conditioned room features a flat-screen satellite TV, a mini-bar and a desk. 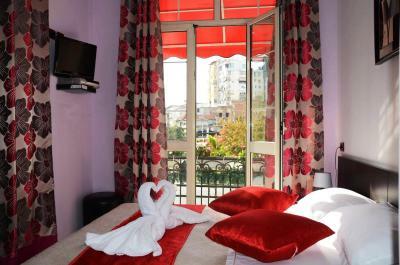 It offers a private bathroom with a shower and a hairdryer. 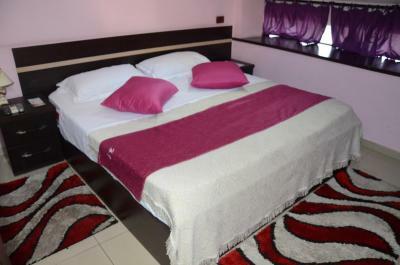 This twin room has air conditioning, tile/marble floor and mini-bar. 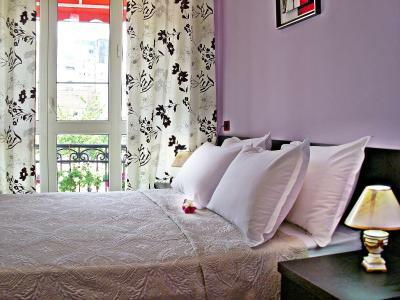 This double room features a tile/marble floor, mini-bar and air conditioning. 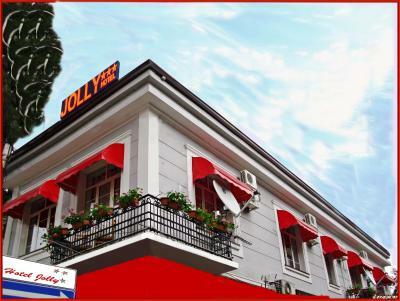 House Rules Jolly City Center Hotel takes special requests – add in the next step! Jolly City Center Hotel accepts these cards and reserves the right to temporarily hold an amount prior to arrival. The bathroom was falling into pieces, water flowing out, poor lightning and the blowdrier blowed cold air. The room did not seem very clean, there were "complementary flip flops" that seemed to have been left by someone else. The parking is actually not in the hotel but two blocks away in a very dodgy place where they charged me for the time after the checkout. Overall a very pleasant stay. Super nice breakfast, the staff was amazing and very friendly. The location as well is brilliant. 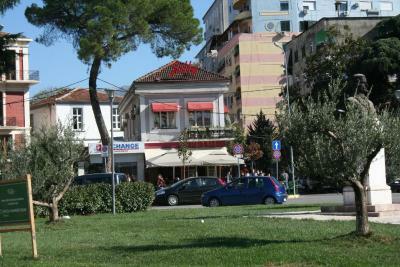 This was the perfect place for our short stay in Tirana. The man on reception was very friendly and welcoming. The roof itself was a good size and probably better than what we were expecting. It was also in a good location for what we wanted that evening. The structure is well located in the city center and the staff reserved me courtesy and availability in satisfying all my requests. Moreover, the bed was really comfy! There was only one thing I didn't like so much, but that could be the weather. We travelled out of season and it was a bit cold during the day. Also the room was very cold at some point (and the bathroom especially *_* ) but with the heating on it was immediately better. 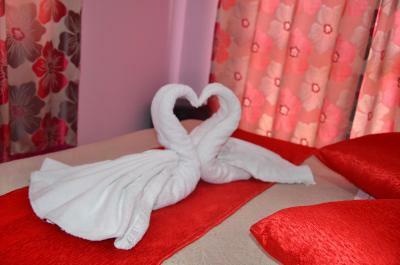 Perfect spot, very friendly staff and comfortable room. 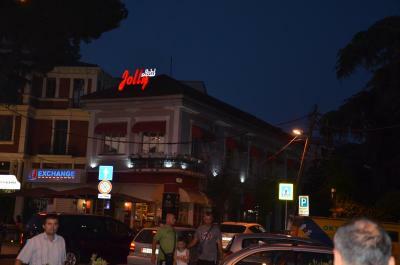 Close to old market, so we had many restaurants around. We slept well, the street nearby wasn't too busy. Great location and lived to price expectations! Local staff and breakfast were wonderful. No heater in room....quite cold in the morning! Nothing I can think of. I booked a budget room and obviously it was a little basic but had everything needed. The staff were great, had a lot of conversations about Albania and Ireland, the differences, cultures etc... which was very informative. I'd to leave early before breakfast on the last day and was given whatever I wanted to take. The breakfast overall was great, I loved the croissants (amazing). The location is great, close to everything. You're given a map and advice on where to see, where to eat etc... which was helpful. A great experience.